Happy New Year! Can you believe it's 2019?! I am so excited for what this year holds and can't wait to share all the fashion, beauty, life and travel stories I have planned here on Story of My Dress! From the runway to the street, 2019 is about to be so good for fashion! In just one month Fall 2019 Fashion Week will hit the runways in New York, London, Milan and Paris; I can't event wait! 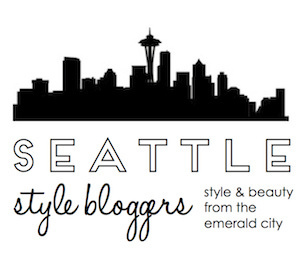 If you follow me over on Instagram, you got a sneak peak of this post's outfit! 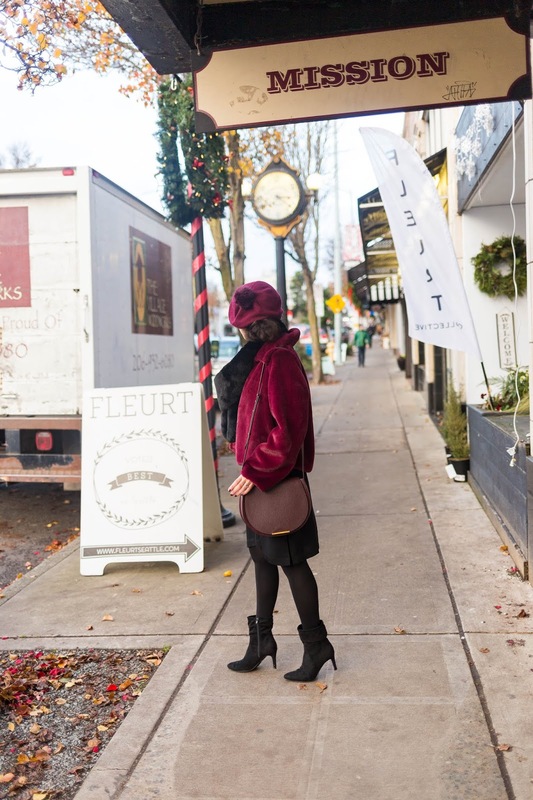 Featuring faux fur, a silk slip dress, saddle bag, tights, and burgundy, merlot, maroon and oxblood, this outfit is one where it's all in the details. The star of this outfit is for sure the Cuyana Saddle Bag. 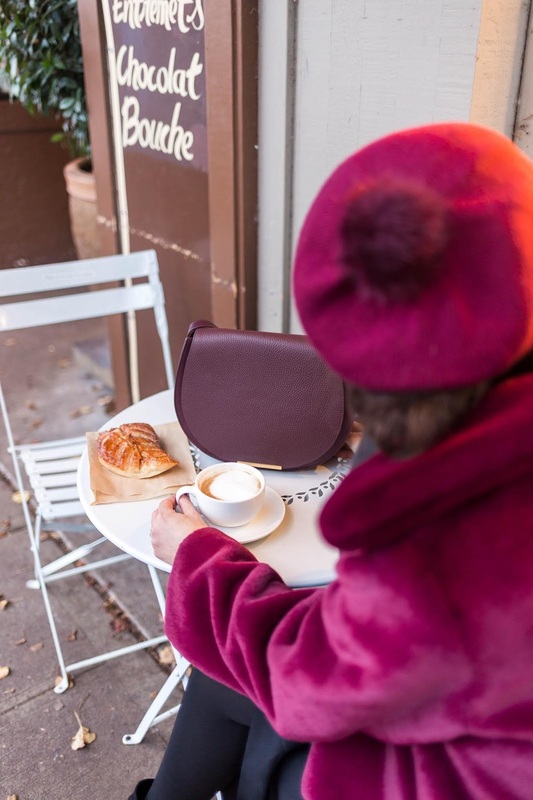 This Cuyana burgundy saddle bag was a the top of my holiday hint list, so I was literally jumping for joy to receive it as a holiday gift from Cuyana! The Cuyana Saddle Bag is crafted in Italy from high quality, full grain leather and finished with polished, coated Italian gold hardware. This elegant, yet simple saddle bag is perfectly roomy to fit everything you need. In my saddle bag you'll find the Cuyana mini zip around wallet, Cuyana leather travel set smaller case (for lipstick, hair ties, etc . . .), keys, sunglasses (and case), iPhone and sometimes more, always with room to spare! 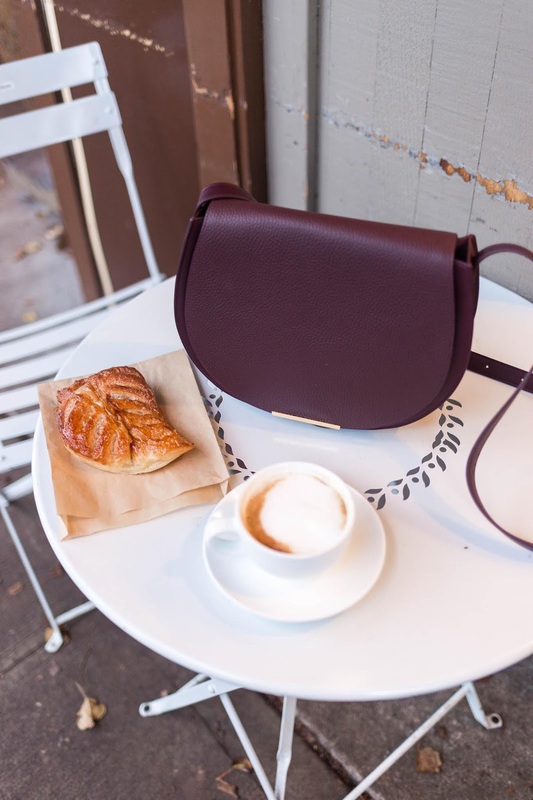 The Cuyana saddle bag is the perfect elevated essential! I am such a fan of Cuyana and their foundation of fewer. Fewer, better is the philosophy behind everything they do. Creating timeless collections for the modern woman through carefully selected fabrics, precise silhouettes and attention to detail, each Cuyana piece is made with integrity and kindness by skilled craftsman around the world. 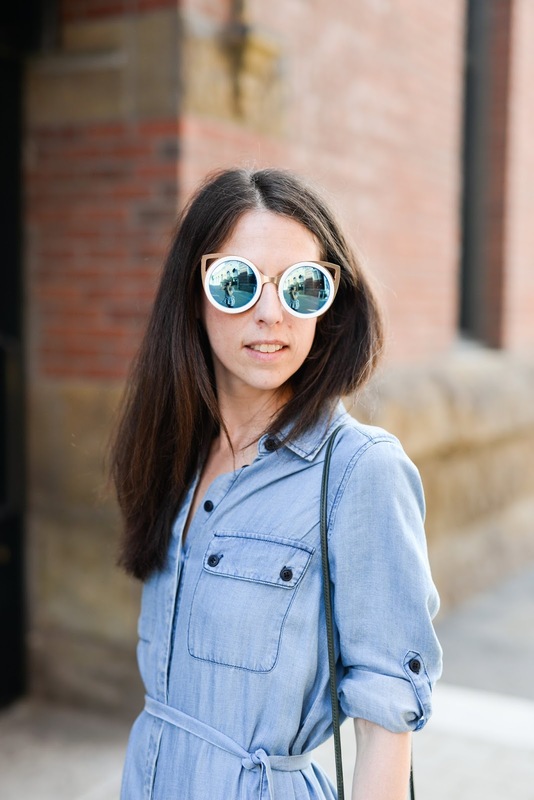 I've shared more of the Cuyana story here, here, and here. I do, however, wear faux fur with deep consideration and only add those pieces to my closet that bring me joy and I know are those fewer, better items that will live in my closet long term. Faux fur has real environmental consequences in it's current state. 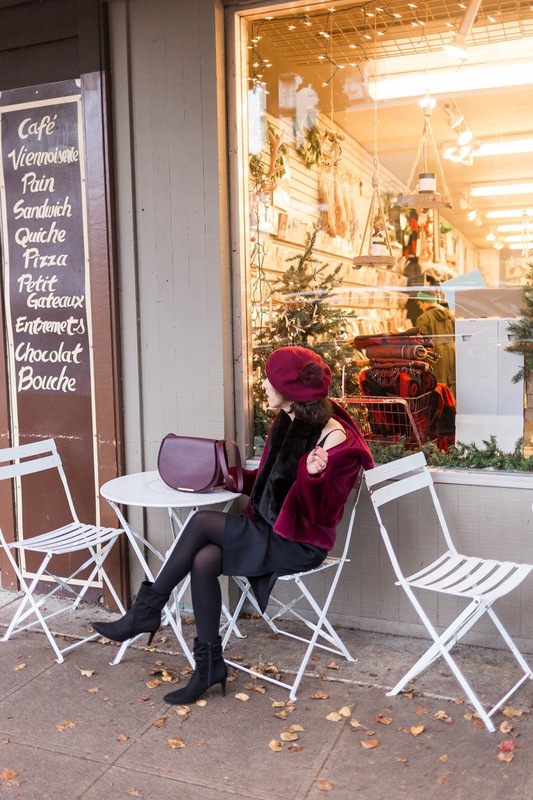 Both my burgundy beret and burgundy faux fur jacket I found at Target and they are both now on major clearance! The Target A New Day Burgundy Faux Fur Jacket is oh so soft and even more beautiful in person. I get compliments every time I wear it. It is incredibly well made for the price point and of such high quality. It's still available in all sizes (except medium) and I would absolutely snag it while you can, I highly recommend! I found it true to size. 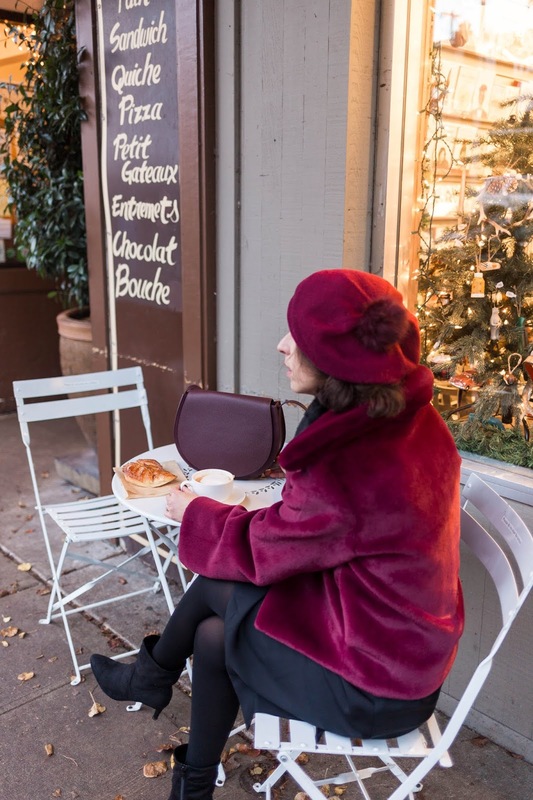 The Target Faux Fur Pom Burgundy Beret fits a bit loose for a beret, but definitely keeps you warm! If you like a looser fit beret, this hat is for you. 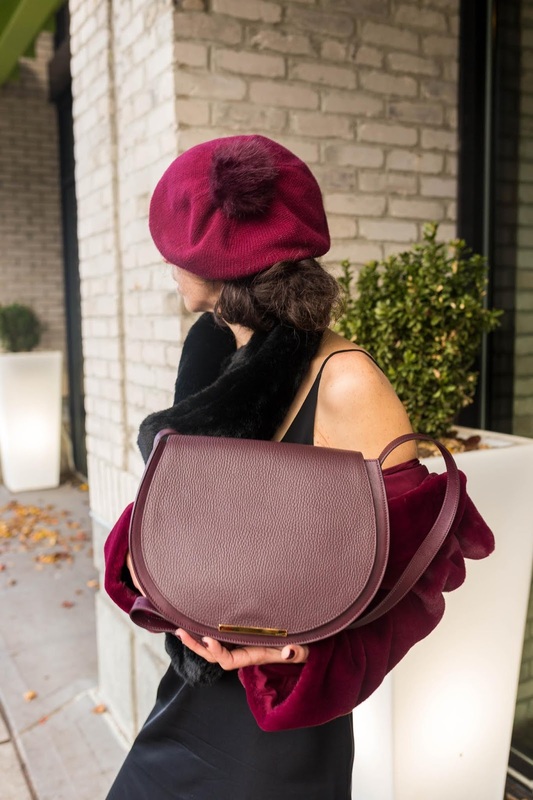 With just a faux fur touch, it's the perfect burgundy accent to any winter outfit. It's currently on sale for less than $7 and the perfectly stylish update to any hat collection. 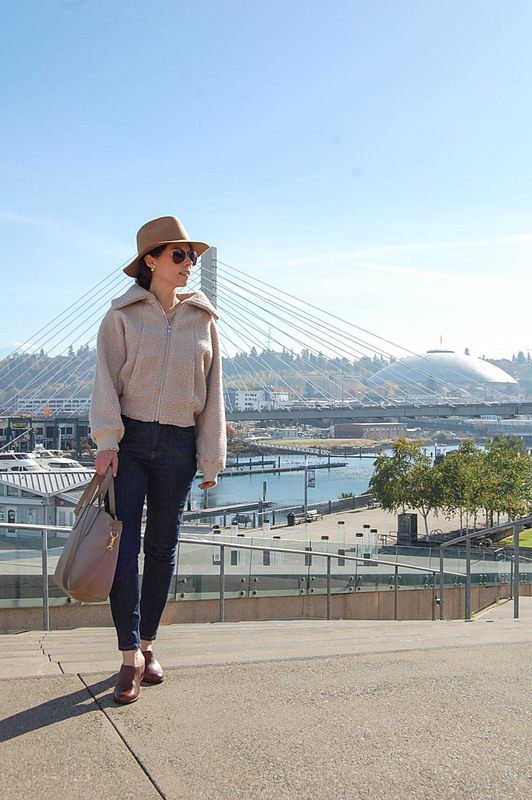 Grana is my go-to for essentials like cashmere sweaters and silk tops, shorts and dresses. Grana searches for the finest fabrics worldwide and offers quality, essential pieces at honest prices. I've shared more of the Grana story here, here, here and here! Both my faux fur scarf and Unisa booties I found at Marshalls. I purchased the Max Studio Faux Fur Scarf for a November wedding in Detroit. I was so worried about being cold and a faux fur scarf is a perfect styling option for keeping warm and looking chic. Here's a similar option at Target which is currently on sale for $10 in a beautiful range of colors. The slouchy black bootie is a great option for colder months and reminiscent of the 80's. Hints of that me-first decade, aka the 1980's, have been creeping back on the runways for awhile now, but for FW '18 they're back with a vengeance. The slouchy bootie version makes ankle boots feel new (yet old, but new) again and I'm all in. Big fan of my pair of Unisa Booties. With two months still left in winter, I am turning to burgundy, merlot, maroon and oxblood to brighten Seattle grey days. While often thought of for the fall season and holiday affairs, I am a fan of continuing to wear these colors all winter long.